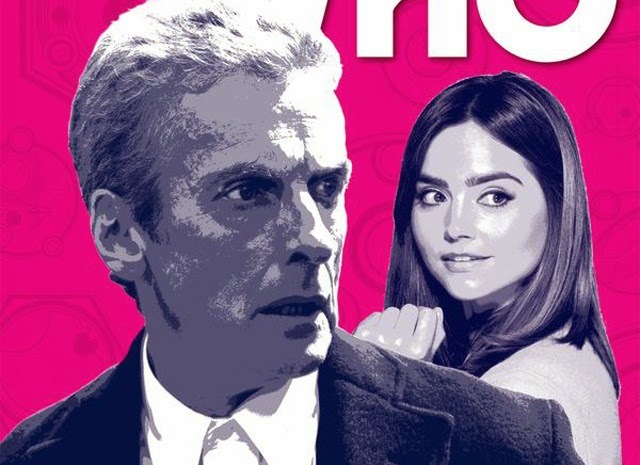 Titan Comics: Doctor Who - THE TWELFTH DOCTOR #8 Review | Warped Factor - Words in the Key of Geek. Tony Fyler goes reference-spotting. Tells himself to stop it. The sense of The Fractures being a blend of previous TV stories, notably Father’s Day and Flatline (with a dash of In the Forest of the Night) is clearly going nowhere as the first adventure with the new, creepy, ribbon-like guardians of reality draws to a close. In fact, there’s almost a sense of inevitable story-structure showing through here which adds to the sense of a shrug completed. The Doctor does something a bit quirky and clever (introducing us to a bit of tech that could very easily fit into the mainstream show – watch out for Rassilon Cubes going forward), the astronaut from a parallel dimension is accepted by his whole family, notably his wife, who’d been holding out from letting herself feel for him, and when he and the Doctor do something a bit quirky, terribly clever and almost cataclysmically dangerous, he proves to the Time Lord that he’s ready to face the consequences of his dimension-splitting actions. The Doctor’s decision then is all dark, knitted eyebrows and pure Capaldi-filtered essence of Doctor – he does the thing we love him for, even though he knows there will be consequences for him. It’s layered and it’s textured and its messages are hugely positive, while delivering that slice of Capaldi Doctor that echoes back a very long way – to Smith’s ‘I’ve changed my mind,’ to David Tennant’s ‘It’s my honour,’ to Eccleston’s ‘I think you need a Doctor,’ to Davison’s ‘Only enough for you,’ and so on. He’s the Doctor in the most literal sense he can be – taking away pain – but in a more mystical way than most, taking the consequences of actions away from their perpetrator by taking an action of his own to redirect them. So don’t mistake the shrug – there’s plenty of deep, resonant Who in this final part of The Fractures. It’s really just that the set-up and the villains don’t really convince that causes the shrug. As we’ve said before, The Fractures feels like a Greatest Hits album of recent years – space and time traveler in an orange flight suit, dimensions cracking, people who should be dead not being dead, reunited families, sad children getting happy, etc etc. And the idea that the laws of physics are on the ‘side’ of the Fractures is, shall we say, repurposed directly from the Reapers in Father’s Day, which is almost a shame, because those screeching CGI monsters were actually very creepy, and their lack of dialogue gave them a believability as the ‘white blood cells’ of reality – ungovernable, unbeatable, and not susceptible to bargaining, only to a balancing of the universal accounts. The Fractures seem to be trying to horn on in their act, but their ability to engage in debate – while admittedly probably crucial in a comic-book format, beings them only a silver medal in the ‘guardians of reality’ stakes. As we’ve also said before, the less Who you actually know, the better The Fractures is as an effective story. That in itself feels like a slightly odd game to play, especially when one of the neatest touches in the story is a direct back-reference to a recent Tenth Doctor comic-book story. Ultimately, it’s an expectation-game: we’ve grown accustomed to Robbie Morrison’s stories being somewhat more than just good, layered, textured stories in their own right, but here, that’s all you get. The expectation-game is dangerous of course – it’s why some fans think Steven Moffatt is ‘looking tired,’ and it’s a fallacy that good, layered, textured stories somehow aren’t enough, or that somehow we ‘deserve more,’ because occasionally we’ve been treated to genius – as we certainly have from Morrison in the last year. The Fractures isn’t genius, but if you can damp down your inner reference-spotter and just go with the flow, it still delivers a lot of it takes to tell a good Who story. Artist Brian Williamson delivers the panels here in a kind of highly-coloured slightly hyper-real style, with a couple of Capaldi portrait shots cheekily nicked almost direct from TV, and come shots echoing other episodes, the Fractures, when doing their human-possession thing, looking decidedly blue and gaseous, a la the Gelth from The Unquiet Dead, and there’s even a shot of an open mouth with an eyeball inside, sending us back to Dream Lord territory from Amy’s Choice. His final panel adds really rather a neat touch, bringing the Twelfth Doctor’s credit sequence into play as a representation of the time vortex. Ultimately, there’s a very heavy hint that we haven’t seen the end of the Fractures, and the end of the story here makes that not only possible, but delivers enough to up the ante for future encounters. 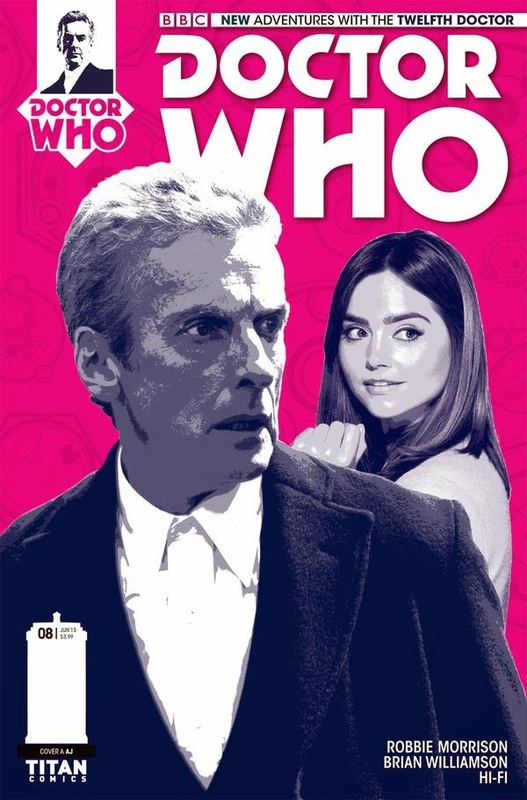 The stakes would need to be raised when the Twelfth Doctor next encounters them, but if they are, Morrison and Williamson have done enough with this first meeting to seed the potential for bigger and better things to come. The Twelfth Doctor #8 is released Wednesday 27th May. Check out an advance art preview here.